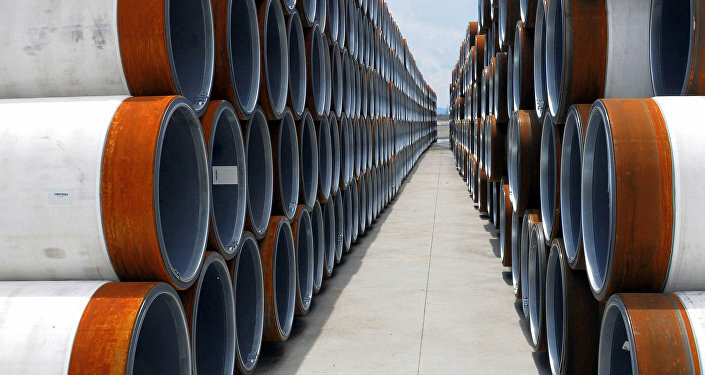 Serbia’s Energy Minister Aleksandar Antic said that his country would like to join the Turkish Stream gas pipeline project to diversify its supply of natural gas. “Hungary is Serbia’s only source of natural gas supply, that’s why we need diversification,” Antic said. Commenting on Aleksandar Antic’s statement in an interview with Sputnik Serbia, Jelica Putnikovic, editor-in-chief of Balkan Magazin, said that it was not yet clear if the second leg of the Turkish Stream pipeline, to pump Russian gas to consumers in Europe, will reach Serbia now that there are no suitable gas pipes running from the Turkish-Greek border to Europe, and the Trans Adriatic Pipeline has no extra gas available for Serbia. She added that the recently announced plans to build the Turkish Stream make no mention of Serbia. “This is why chances of Serbia finding its place in this system are extremely low. We should also bear in mind the political instability in Macedonia and the lack of investors willing to build a gas pipeline running from the Turkish-Greek border,” Jelica Putnikovic noted. The Nord Stream 2 pipeline to bypass Ukraine doesn’t look very promising either, she said, adding that even if there is some extra gas left in the Nord Stream 2, Serbia would find it hard to pay the bill. “If we fail to agree any other option with Russia, we’ll have to pay for the gas transit across the whole of Europe. I believe that Serbia should insist on a compromise option with Gazprom,” Putnikovic continued. She added that if anyone in Europe agrees to invest in the construction of a trans-Balkan gas pipeline, Belgrade should insist that it run across Serbian territory, and not across Greece, Bulgaria or Romania. The Turkish Stream is a pipeline with an annual capacity of 63 billion cubic meters to pump Russian natural gas to Turkey and on to Europe under the Black Sea. Russia and Turkey signed an intergovernmental agreement in October 2016 stipulating the construction of two underwater legs of the pipeline. The annual capacity of each leg is expected to reach 15.75 billion cubic meters of natural gas.